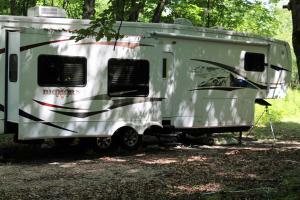 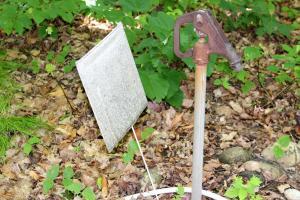 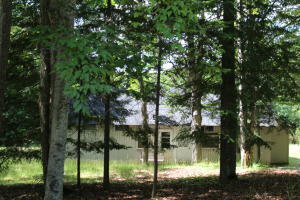 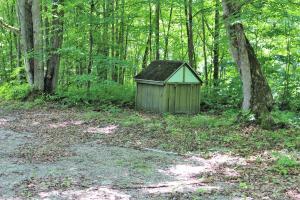 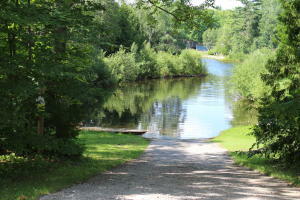 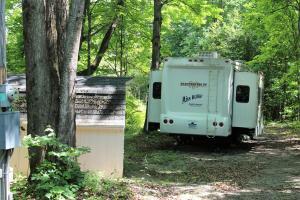 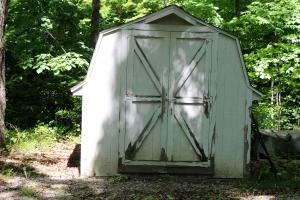 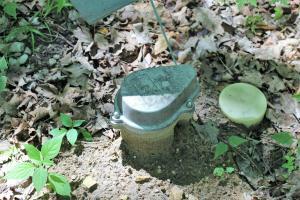 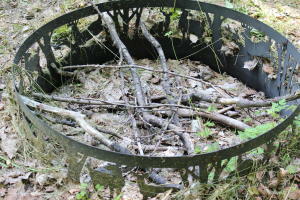 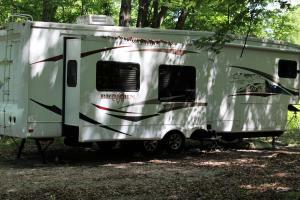 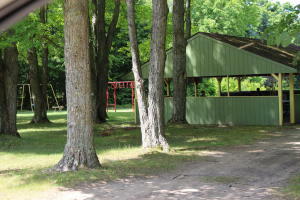 Mostly wooded lot, with large cleared space for 37' camper, ideal place for your home away from home. 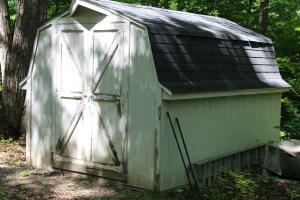 Electrical hook-ups for two trailers, a 4'' well with hook-ups, and a 8' X 12' shed with electricity. 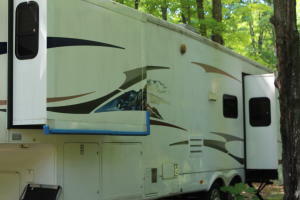 Camper has fireplace air conditioning, furnace, and is rated for winter camping. 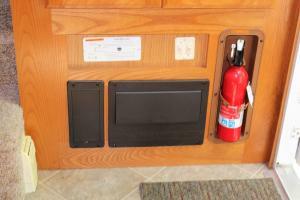 Three bump outs give added space. 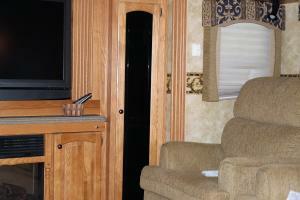 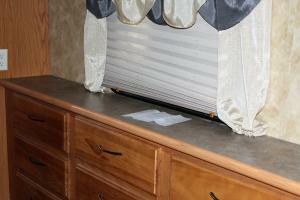 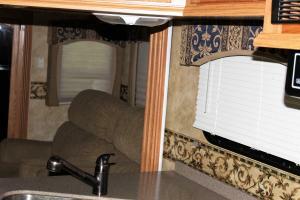 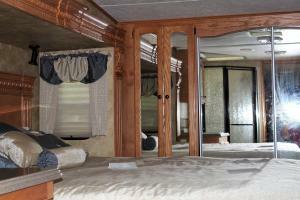 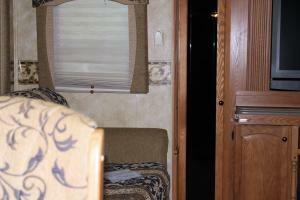 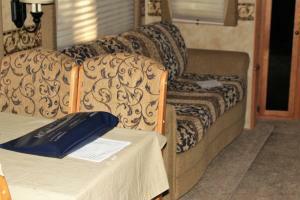 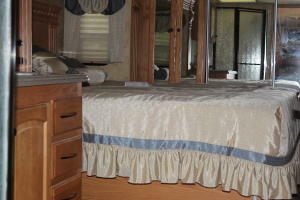 Huge TV, king size bed, plenty of storage, everything clean and tidy. 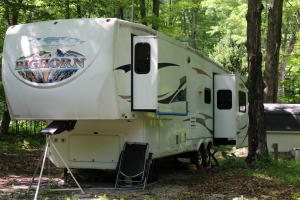 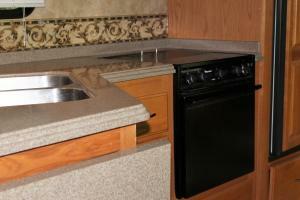 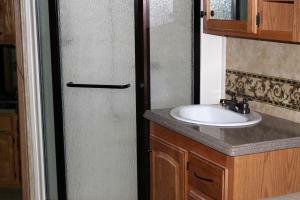 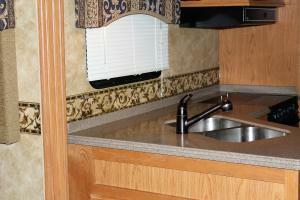 Comes with all furniture, stove and refrigerator, hookups for a washer and dryer, this is a palace to camp in.